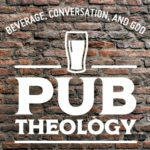 Pub Theology! Join us monthly at Coach’s Sports Bar (downstairs area) where no faith/religion questions are out of place, and all doubts are heard and respected! Bring a friend…I double dog dare you! If we’ll commit to ask just one person to come with us, we’ll fill that room! Come with open minds, open ears, honest hearts, and doubting guests who seek genuine faith.